Hi! 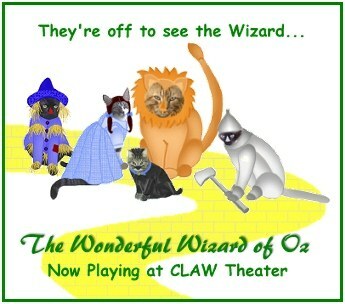 I love belonging to CLAW! I proudly wear my crown! Here are the certificates I earned. I also graduated from CLAW University with a BCC (Bachelor of CLAW Catship)! Click on the signs to see the plays! I received the Member CLAW Page Award on February 20, 2000! 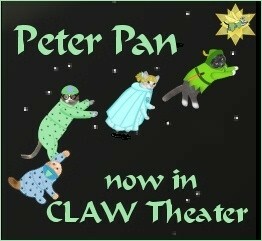 Click here to see my other CLAW awards. If you like my site, please click the sign to vote for me - Thank you!